There were a lot of cool things to see at CES (Consumer Electronics Show) in Las Vegas. Not only were we interested in the latest medical alert system technology, we were also extremely excited to see what the new year had in store for home security systems. Here are a few of the coolest gadgets and innovations that caught our eye for 2018. For the most part, home security technology does one thing — protect your home. But, it has the potential to make our lives easier and more convenient, as well as safer. Many home alarm companies are looking for ways to make multipurpose technology so their camera does a lot more than just alert you if there’s a stranger at your door. The newest round of cameras will send you an alert when your kids get home or when a package arrives at your door. Cameras will also be able to function as communication portals for the entire family, providing you with a way to speak to your loved ones in the house in real time, face-to-face without the need to give them a call. It wasn’t that long ago that home security systems had to be professionally wired in the home. Today, nearly every system on the market is wireless, which makes setup extremely easy. But, that doesn’t mean there isn’t plenty to think about when it comes to making sure your system is in tip-top shape. For example, many devices have batteries that need to be changed regularly. When it means that your home’s security is compromised, dead batteries are more than an inconvenience. Some innovative technologies, like the blink video doorbell, are changing all that. This little device boasts an impressive battery life of two years! There are other ways gadgets are becoming more low-maintenance. Many devices at CES are weatherproof, they have night vision, and they come with cloud storage capabilities. Not to mention the fact that many of them automatically integrate with existing smart home systems so extensive setup isn’t necessary. You can fool a traditional motion sensor. Because today’s technology utilizes infrared beams to detect movement, all an intruder has to do is look for those motion sensors and avoid the gaze of that beam. Some of the coolest new technology at CES does away with this method of detecting movement. Aura motion sensors don’t use infrared light. Instead, they look for disturbances in the wireless signals that flow through the air. Based on the intensity of the disturbance, these motion sensors can tell the difference between people, pets, and fans. That’s something traditional infrared sensors haven’t been able to do very well. Some systems can integrate with others. For example, Nest is compatible with some home security systems. But, other smart home systems can’t be integrated with the home alarm system. That’s about to change. Devices like Amazon’s Echo will be able to do even more in the future. From appliances to alarm clocks, cameras, and motion sensors, a single device will be all that’s needed to control every smart technology in the home. 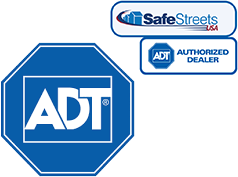 We’re in for a big year when it comes to home security! Stay tuned to InHomeSafetyGuide.org and we’ll keep you updated on all the latest tech as it becomes available!